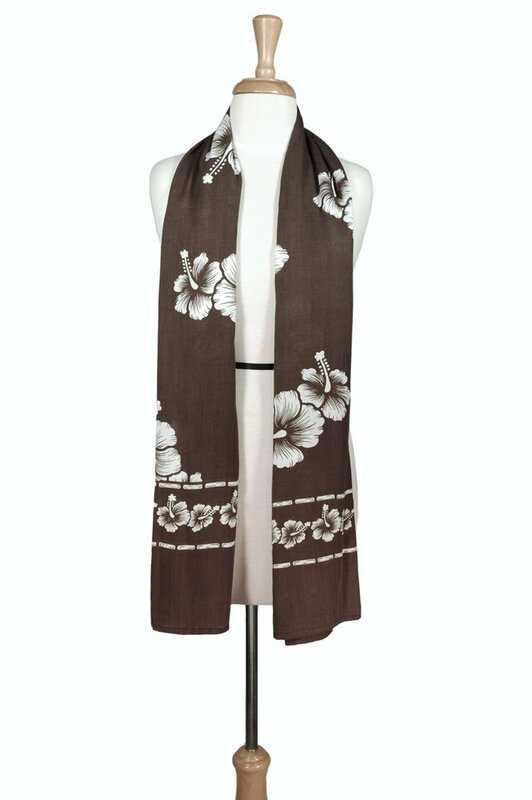 You will love this lightweight extra wide scarf in a colorful hibiscus floral design. World renowned for its beauty, the hibiscus flower comes in many different colors, just like our scarves. Keep the chill off and you looking strikingly stylish anytime, anywhere. Your scarf can be used year round, day and night, while traveling and casual outings. This scarf is simply a must have piece that will prove to be fashionable and functionable. From tying around your neck, to creating an over the shoulder shawl look, you?ll find lots of uses for this beautiful scarf. Scarf measures 66 x 44 inches (168 cm x 112 cm) on fringeless lightweight rayon. Please note, due to the handmade nature of this item color may vary.